IOTA (MIOTA)–Two weeks ago, the IOTA Foundation released news concerning the long-anticipated Qubic Project. While Qubic does not constitute a new currency or coin offering, it will function as a significant improvement to the existing IOTA framework, particularly through the application of smart contracts. The press release concerning the launch of Qubic highlighted that the new protocol would focus on smart contracts, allowing for micropayments to be made through Tangle, in addition to providing an incentive for IOTA users to contribute to network function. Tangle has been the key innovation for IOTA and the support of the IOTA Foundation, providing a technology that scales with network use. As opposed to Bitcoin’s transaction model, which relies upon miner fees that increase greatly with network congestion (reaching as high as 55 USD during last December’s high), Tangle employs a more efficient use of resources while avoiding the need for monetary fees. Instead of spending a percentage of their coin on transactions, IOTA users “pay” by providing computing power to support the consensus protocol for the entire network. As more users participate in IOTA and contribute to the network, the ability for the platform as a whole to handle more transactions also increases. Which means, the limitation to scale for IOTA is nonexistant, with the ability to handle greater volume rising with greater user participation. 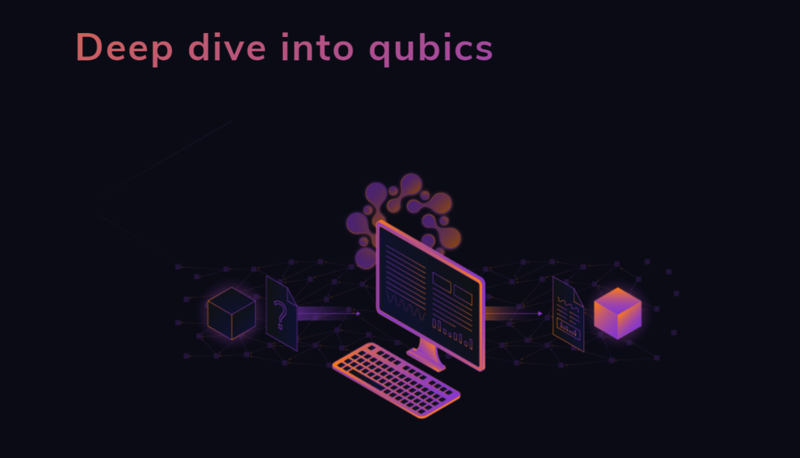 Tangle qubics (once qubic goes live) will rely on a single quorum, or a group of quorums to perform a computation. Ethereum smart contracts rely on every machine processing every transaction. The ethereum network has a hidden flaw. Blocksize. The ethereum network has a gas limit rather than a block size. The ethereum network is composed of light nodes and full nodes. However with an unbounded blocksize, the network latency requirements to actually run a full node go up. And network latency does not obey moore’s law. What this means is that as the number of people who run full nodes goes down the ethereum network becomes more centralized. IOTA, rather than relying upon each individual machine to participate in the consensus of smart contracts, is employing a quorum approach. From the definition of quorum: the minimum number of members of an assembly or society that must be present at any of its meetings to make the proceedings of that meeting valid. Execution of smart contracts, via Tangle, will institute a quorum-based approach for Qubic, meaning that a certain percentage of network users will be recruited to guarantee the security and consensus of the contract, without actually having to be validated by the entire network. The end result is greater efficiency and less time spent recruiting machines across the network. It would be similar to paying a fraction of an electorate base to verify the voting process for a political race, as opposed to requiring the consensus of every individual in a country. Tangle continues to be the focal point for IOTA, both in terms of efficiency and its ability to dictate the future of cryptocurrency. While the coin is suffering from the price fall impacting the entire market, Qubic represents the type of innovation that could become a significant tailwind for cryptocurrency, particularly if the IOTA Foundation succeeds in making its technology the standard for the world’s 8-billion-plus IoT devices.